A rare eye condition helped Leonardo da Vinci paint distance and depth of objects on flat surfaces with the accuracy which he became famous for, new research claims. Da Vinci, one of the world’s most celebrated painters, had intermittent exotropia, a type of eye misalignment in which one eye turns outward, according to a study published Thursday in the journal JAMA Ophthalmology. “Looking at his work, I noticed the pronounced divergence of the eyes in all of his paintings,” explained the study’s author, Christopher Tyler, a research professor at City University of London and the Smith-Kettlewell Eye Research Institute in San Francisco. A bronze sculpture of David, reputed to be a depiction of the young Leonardo da Vinci, shows eye misalignment, the study says. Analyzing the direction of the gaze in six likely self-portraits of da Vinci — two sculptures, two oil paintings and two drawings — Tyler found that some of the work showed signs of exotropia, with the eyes looking at an outward angle. Not all six works were self-portraits, but da Vinci specified in his own writings that any portrait work by a painter reflects the painter’s own appearance. The painting “Salvator Mundi,” attributed to Leonardo da Vinci, shows his exotropia, a new study says. Tyler assessed the eye condition by drawing circles to the pupils, irises and eyelids on each painting and measuring their positions. When he converted the measurements into an angle, the results showed da Vinci had an exotropia tendency, with one eye turning -10.3 degrees outward when relaxed. But the master artist could revert his eye to a straight alignment when focused. Tyler believes that da Vinci’s left eye was affected by the condition, but it is not easy to be sure. The eye misalignment exotropia, a form of strabismus, affects about 1% of the world population, he said. This condition contrasted with the regular vision of his other eye to help him develop a strong understanding of three-dimensional objects. Tyler said this ability made it possible for most of da Vinci’s artworks to have the precise shading he is known for. Similar research techniques have been used to prove that other great painters such as Rembrandt, Edgar Degas and Pablo Picasso also had various types of eye misalignment. 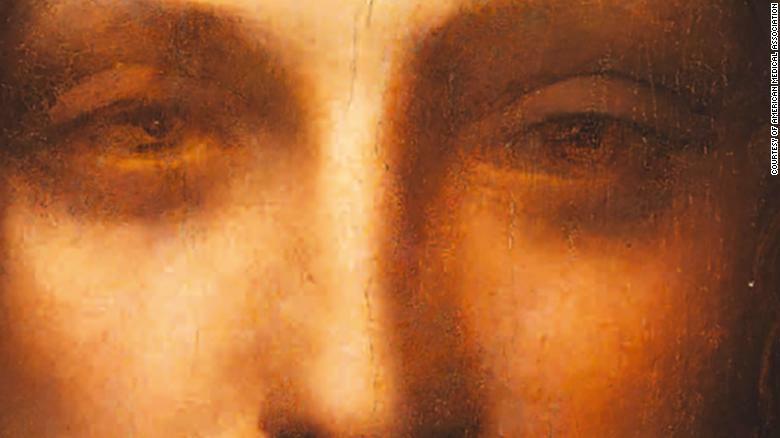 The study noted that the different direction and size of the pupils in some of Da Vinci’s works can be interpreted as anisocoria, a condition in which one pupil is larger than the other. But Tyler said this is “very unlikely.” Rather, he believes da Vinci was using this depiction to show his experience of one eye seeing more clearly than the other. Dr. Julius Oatts, assistant professor in the Department of Ophthalmology at the University of California, San Francisco, called the findings interesting. “There are a lot of uncertainties whether the pictures truly depict da Vinci himself and if they depict the eyes realistically,” noted Oatts, who was not involved in the study.